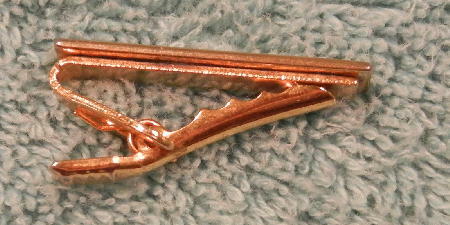 This gold-tone metal tie clip has an elevated rifle on the front. Below the rifle in elevated letters it says COLT AR-15. It does not have the coppery tone that it appears to in the pictures. It's from a Hollywood actor.